Anne Curtis, who is known to be a huge fan of BLACKPINK, recently took to Twitter to share how much she loves the K-Pop girl group's music video for "DDU-DU DDU-DU." "OMG BLACK PINK’S NEW MV IS ALMOST THE SAME FEELS AS MY CONCERT POSTER. DYING OF KILIG!!! !," she wrote in all uppercase, expressing her glee over BLACKPINK's stunning new visual. OMG BLACK PINK’S NEW MV IS ALMOST THE SAME FEELS AS MY CONCERT POSTER. Amidst getting positive responses from fans (BLINKs included), one fan accused Anne of allegedly implying that the K-Pop girl group imitated the "feels" of her upcoming concert's promotional poster. "Kapal ng mukha mong palabasing kinopyang ng Blackpink yung poster ng concert mo. Dying of kilig ka pang nalalaman, nyeta ka," the fan with a username @NanayR3dg3 replied to the It's Showtime host's tweet. Kapal ng mukha mong palabasing kinopyang ng Black Pink yung poster ng concert mo. Dying of kilig ka pang nalalaman, nyeta ka. Anne, who saw the allegation made against her picked out of nowhere, slammed the fan for coming at her for all the wrong reasons. "Haha girl. That’s not what I meant. Hindi pa mga lumalabas ung poster ko. So paano ko pwede sabihin na gayahin. I’m just saying kilig kasi ALMOST same feels sa smoke. Get your facts straight first & intindihin ung post ko bago ka rat rat ng rat rat dyan sis. And I, thank you (sic)," she wrote. BLACKPINK's upcoming mini-album will feature three more songs including another titled track called "Forever Young" and two B-Side tracks titled "Really" and "See U Later." 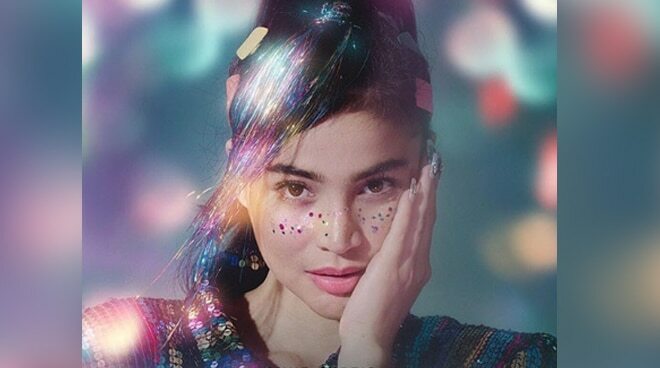 Anne Curtis will hold her "AnneKulit: Promise Last Na 'To" concert this August at the Big Dome.